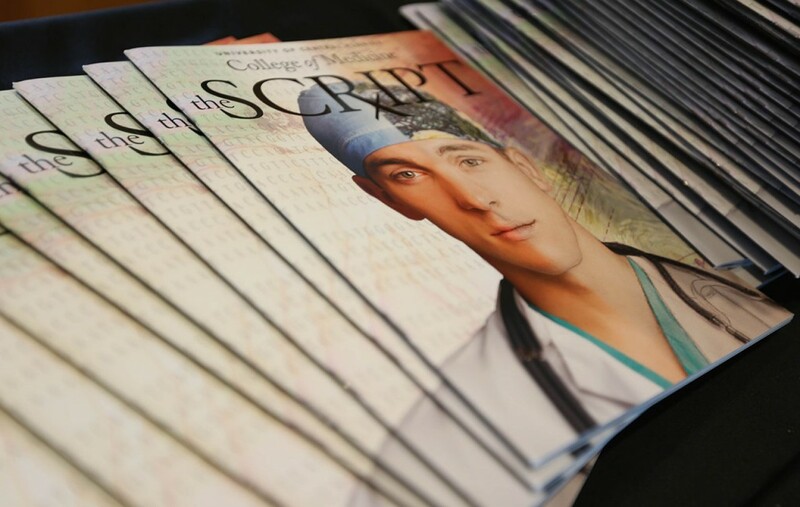 The Script is a full-color literary art magazine that celebrates self-expression and humanism in medicine. The inaugural 43-page publication, created by Arts in Medicine in 2013, includes poetry, narrative, photography, sketches, paintings and sculptures. Submissions are collected from students, faculty, and staff at the College of Medicine and is distributed around the country. The publication was recognized by the AAMC as an example of how literary art journals can nurture creativity and provide an outlet for reflection in medical school.